The aim of this guide is two-fold. First, we want to show you the item sets created for Shamans: tier sets, PvP sets, BoE items meant to be worn together, craftable sets, etc.. Second, we want to show you the models of all the items that a Shaman can wear so that you can design your own sets or complete sets found on our site or elsewhere. This page tackles our first objective (item sets). For our second objective (item models), please refer to our Transmogrification Shaman Item Models Guide. Below, you will find many sets that are still available in the game and that can be used for Transmogrification. We first present thumbnails of all the sets so that you can have a visual overview of what is coming. For each set, we then list the items and explain how to obtain them. The guide ends with a More Sets section that redirects to The Visual Roleplay Gear List, which is a great resource where you will find many more sets. 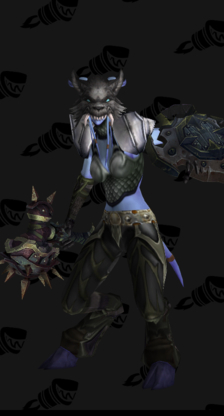 To take the screenshots of the item sets, we used the model viewer from Wowhead. The Visual Roleplay Gear List is a great reference if you want to take your Transmogrification experiences further, as they have many original sets that we do not cover here. Below, you will find a list of thumbnails for their Mail Armor sets; clicking an image will get you to the corresponding set guide on their website.